Dr. Maricel Maffini is a Research Assistant Professor in the Department of Anatomy and Cellular Biology at Tufts University School of Medicine in Boston. Her research interests are in the field of carcinogenesis and developmental biology, and she has made a number of important observations in the field of breast cancer. The Connection Between Breast Cancer and the Environment, “breast cancer incidence rates in the United States increased by more than 40 percent between 1973 and 1998.” In discussing BPAs and their relationship to cancer, Dr. Maffini explains the toxic nature of products containing BPAs: water bottles, canned food containers, Coca-Cola bottles, DVDs, eyeglasses, protective dental substances, and the plastic pipes that transport tap water. She says that all plastics, even those without BPA, release some estrogenic compounds. Read the May 22 news article Drinking from Plastic Bottles ‘Increases Exposure to Gender-Bending Chemical’ and read the new study Use of Polycarbonate Bottles and Urinary Bisphenol A Concentrations. The program explores bisphenol-A in great depth. Dr. Maffini points to two studies published in 2008 in the Journal of the American Medical Association linking BPA to heart disease and diabetes, plus high concentrations of certain liver enzymes, Bisphenol A and Risk of Metabolic Disorders and Association of Urinary Bisphenol-A Concentration With Medical Disorders and Laboratory Abnormalities in Adults. Dr. Maffini’s lab has also found a strong correlation between BPA and autism, hyperactivity and even obesity, and she describes in detail what happened in test situations. The discoveries Dr. Maffini and her colleagues have made started with finding that the plastic tubing used in laboratories made breast cancer cells in controlled experiments “proliferate like mad.” Dr. Maffini refers to the 2004 Centers for Disease Control study showing BPA contamination in 93% of the population. She explains how children and women are particularly infiltrated with BPA. 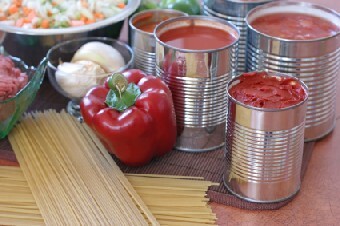 Read High BPA levels found in hospitalized, premature infants. And see the six-page brochure Hormone Disruptors and Women’s Health: Reasons for Concern. What We Know, What We Need to Know, overseen by biologist and cancer survivor Sandra Steingraber, author of Living Downstream. Two of the most important points on today’s program are that even minute amounts of many hormone mimickers cause damage, and that the synergistic effect of chemicals in combination is often much stronger than one chemical alone. The Environmental Protection Agency, Dr. Maffini says, does not correctly test chemicals in the amounts that would do the most damage, and does not study how chemicals become exponentially more harmful when blended together. And the Food and Drug Administration does not consider BPA harmful, but their findings may be compromised. Read To ban or not to ban: Bisphenol-A in food is OK with FDA but not with some scientists. Also see Growing controversy swirls around research article key to FDA’s decision on bisphenol A safety and Plastics industry behind FDA research on bisphenol A, study finds. Today’s show also touches on polybrominated diphenyl ethers (PBDEs) used in flame retar-dants, which have been found in people and animals all over the world. Read an abstract of the study, Brominated flame retar-dants in polar bears. Read about the study released last month on the prevalence of flame retardants in all U.S. coastal waters and the Great Lakes and read the full report here. Dr. Maffini has recommended not microwaving food in plastic containers. Microwave ovens themselves have been found to damage the colloidal structure of food and water, which in turn weakens the human body, according to some studies. Babies, young children, and pregnant women are particularly vulnerable to hormone-mimicking chemicals, and Dr. Maffini says that pregnant mothers should be warned to avoid all the sources of exposure she mentions on the program, just as they are told to not smoke or drink while pregnant. She points to success stories in the fight against hormone-mimicking chemicals like how Suffolk County on Long Island recently banned BPAs, and how removing the toxic lining in canned food in Japan caused a big drop in blood levels of BPA among college students in studies conducted over seven years. New development: read the May 14 article Chicago Bans Sale of Baby Bottles, Sippy Cups With BPA. Dr. Caldicott says, and what you can do to protect yourself and your community from these unnecessary chemicals. This entry was posted on Monday, May 4th, 2009 at 12:00 am	and is filed under Uncategorized. You can follow any responses to this entry through the RSS 2.0 feed. Both comments and pings are currently closed.